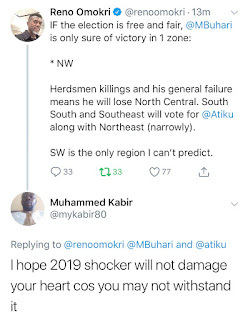 Earlier today, Reno Omokri dropped a post predicting that Atiku was going to win the 2019 election, that post created a lot of controversy online leaving so many Nigerians with their own reactions. "I hope 2019 will not damage your heart cos you may not withstand it"
"Shocker? 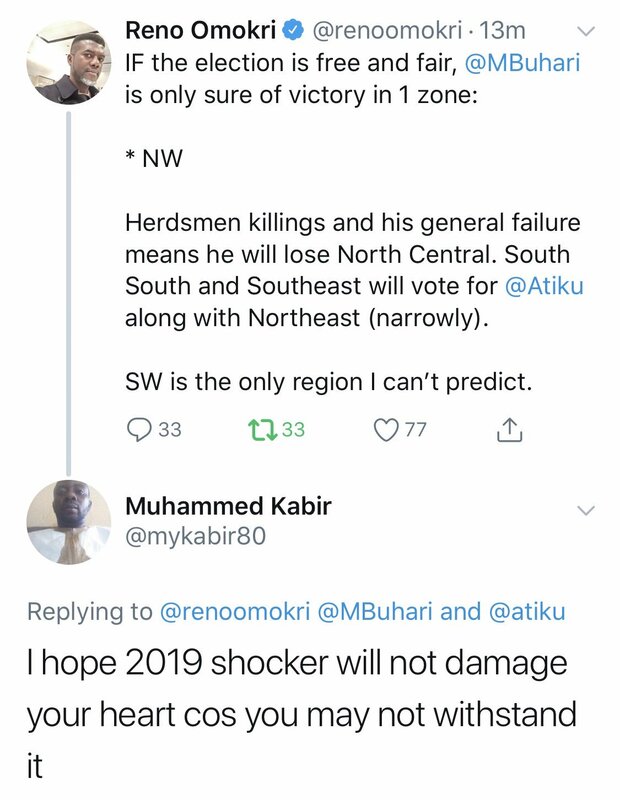 Listen, if @MBuhari wins, I am by the grace of God a success in every area of life. If it is @Atiku that wins, I am still, by the grace of God, a success in every area of life. It is yourself you should be worried about. You may be shocked! #RenosDarts"